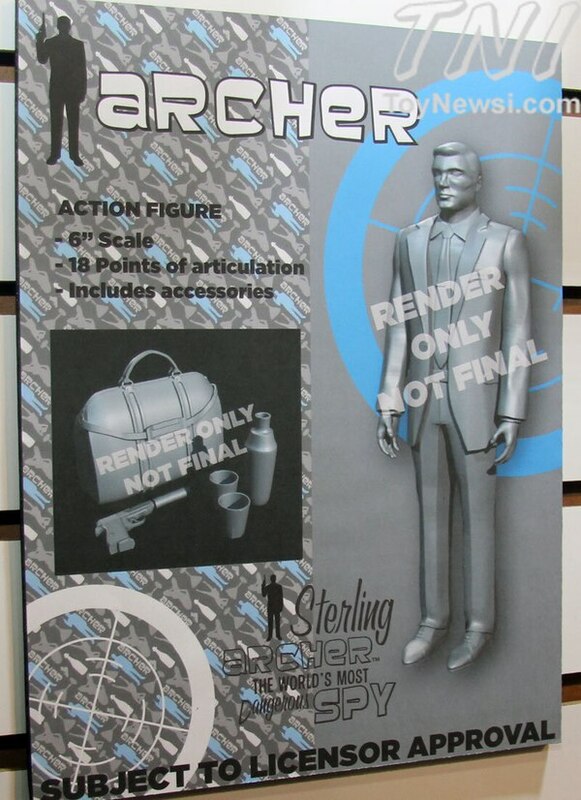 Remember a couple weeks ago, when I got all giddy over the announcement of Archer toys? Well, apparently Factory Entertainment had a render available at the New York Toy Fair. It is vaguely human like, and is wearing Italian loafers, so that's all well and good. But look at the accessories. Martini shaker! Whiskey glasses! Awesome! The only thing missing is a magnet-attachable Burt Reynolds moustache. The question becomes, is the toy imbued with a natural suspicion towards Predators?